It is almost time to say good bye to 2015 and ring in the new year of 2016. Are you throwing a New Years Eve party to celebrate? 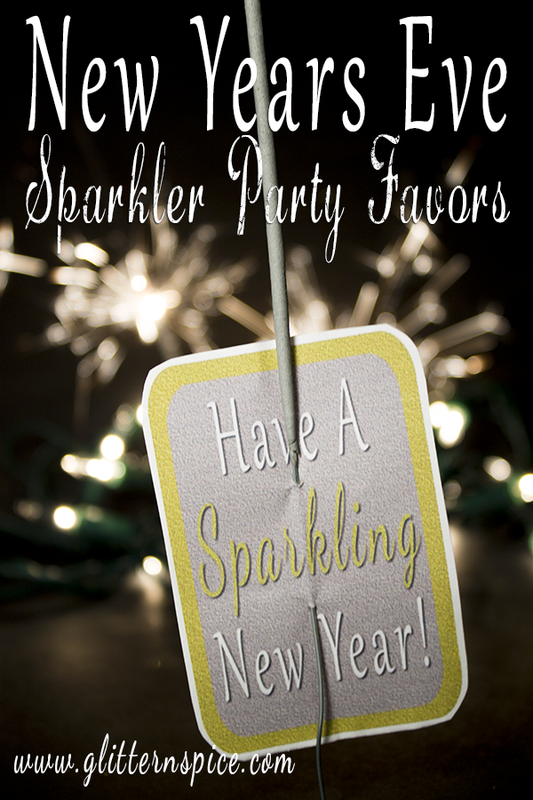 Here are some sparkling New Years Eve Party Favors that are fun for people of all ages. They are super easy to put together and cost very little to make. 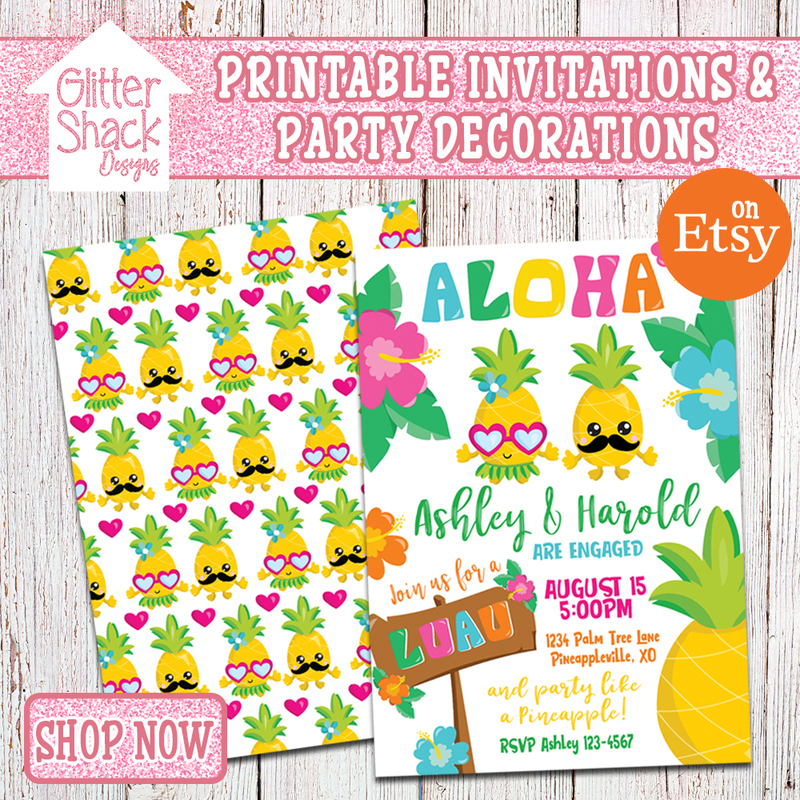 All you need is a few packages of sparklers and a printer. 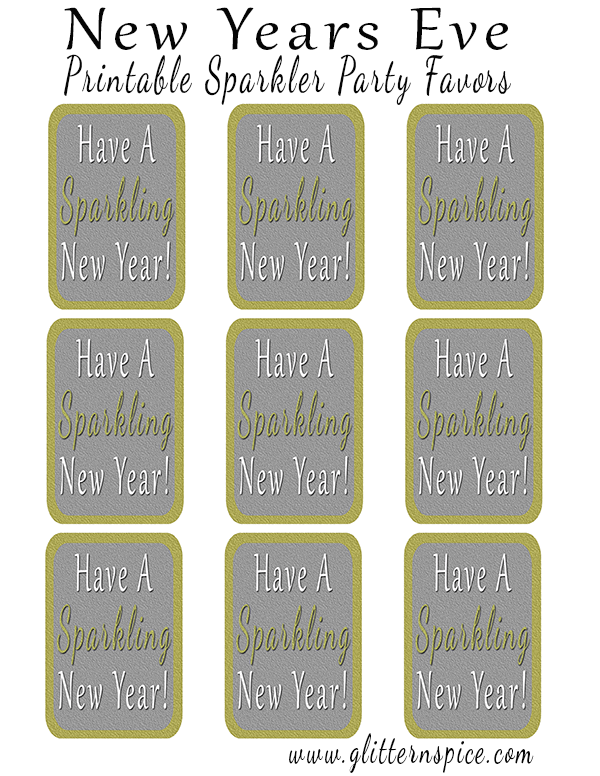 Print out a sheet of “Have A Sparkling New Year” tags and cut them out by trimming around the gold borders. 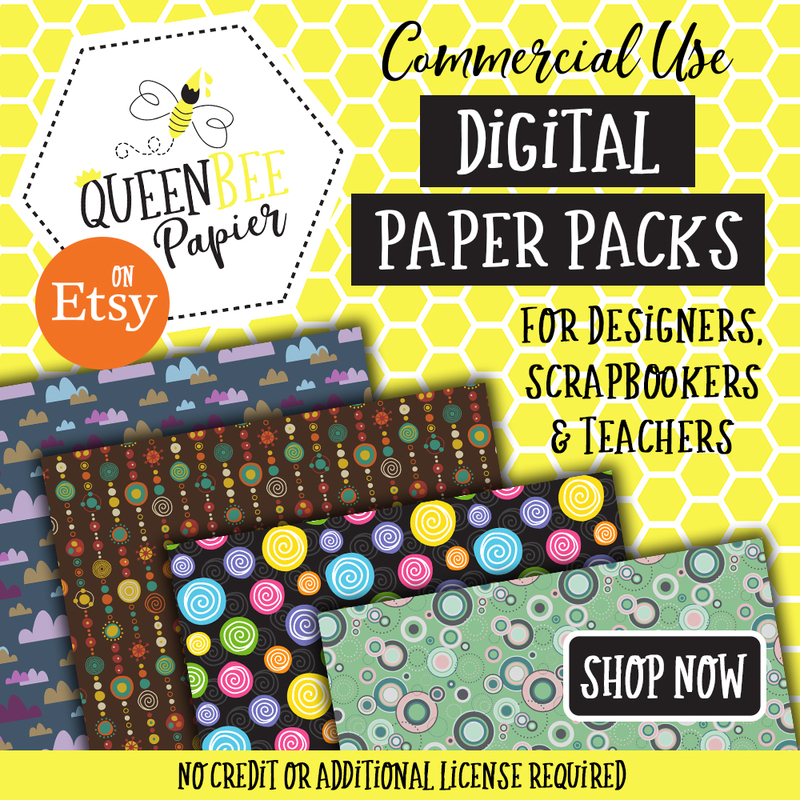 Use as is or mat them on a sheet of white cardstock to make them more sturdy. 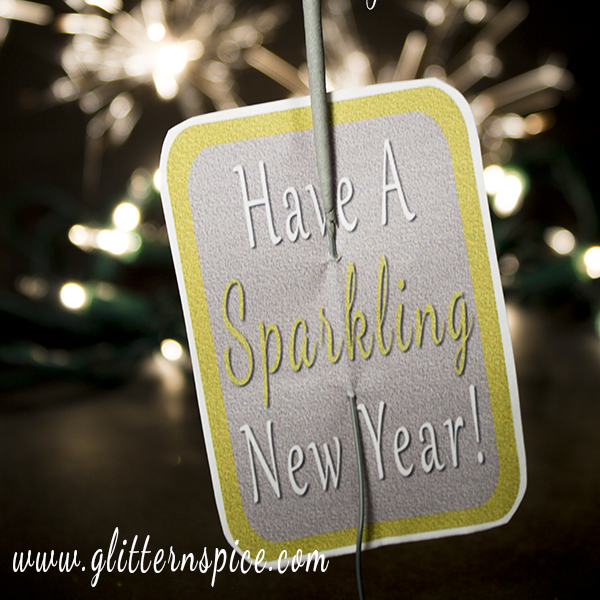 Poke a hole above and beneath the word “sparkling.” Thread a sparkler through each tag as pictured in the image above. 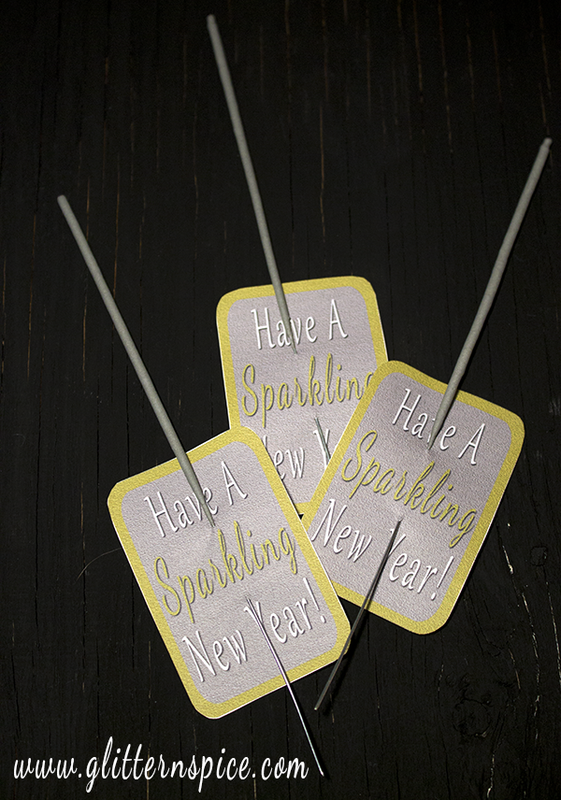 Secure the sparkler by adding a small piece of tape to the back of the tag. Open the high resolution print-ready image by clicking on the image above or the download text link. Click the save icon to save the image to your computer’s hard drive or click the printer icon to print the printables right away. You are welcome to use these New Years Eve party favors for personal use only. Thank you. Important! Remove the paper tag before lighting the sparkler and please advise your guests to do the same. What kinds of New Years Eve party favors do you hand out? We give out sparklers, hats and noise makers. Have a safe and happy New Years and may 2016 bring you many blessings and good fortunes! 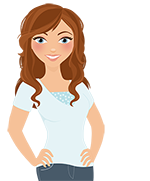 You May Like These Articles For More New Years Eve Party Inspiration! thank you so much this is a great idea. we will be with our children and grand kids and my son and laws parents…. I will do this for us should be cute… I appreciate this thank you again….